I remember asking one of my friends about the financial crisis of 2008 as it was happening. She was doing a PhD in Economics at that time and I asked if she knew what the crises is about and how to fix it. She said that if she did, she’d probably get a Nobel prize for it. At the time I didn’t believe her – surely an economist can easily take a look at the numbers and explain what went wrong and where we need to put the band aid! Having lived through the crises, the obvious limitations of our understanding capacity of what has become a vastly complex global trade system were apparent at every step, every month and every year that passed by. Some countries fared better than others in tackling others. Some had limited exposure in the sub-prime crisis, in the financial crisis and finally in the governmental crisis that followed. As years are put behind us and more and more countries are pulling up from negative growth, our understanding of what happened is getting better. The truth has fewer places it can hide and we can say with more certainty that we understand what happened. This hasn’t necessarily had a direct correlation in our attempts to prevent another global financial crisis from happening, but luckily this book is not about that. Michael Lewis Boomerang is a great insight into 5 countries that had a key contribution to the events that took place in 2008 and the following years. He takes a magnifying glass and looks closely on how the crisis exploded in each of those countries and talks about social and cultural reasons for why this particular countries are so interesting. This is the story of Iceland, Greece, Ireland, Germany and the US. The book focuses on what happened before the financial crisis, as what happened after is documented in every newspaper or book of those years and the ones that followed. People in Iceland are all fishermen. This is how they see themselves in their collective imaginations. During the big pushes in the last century for global free trade, Iceland wanted to take part in the globalization frenzy. They tried to use their biggest natural resource in the 70s as their comparative advantage, which is unlimited energy utilizing their unlimited geothermal resources. Since you cannot transport the energy, you need to use it locally. They then built aluminum mills, that is a very energy intensive industry. From a GDP perspective, this was great – the economy was growing and Icelandic aluminum was very competitive on the global market. However this had unintended consequences for the labor market. Iceland was and still is a highly educated country, during the 70s you could only work in a fishing boat or in a steel mill. Obviously this wasn’t appealing to most people educated in US or Europe. After some time, they decided to be bankers, and as such they started taking credits and selling assets between each other to raise their prices. They had growth in the banking sector of 30%, whereas the normal growth in that sector was 5%-8%. Everyone kept telling them that they are doing investment banking in a wrong way. Their Finance minister had no finance background and there was an obvious taboo on the state regulating the market. In Iceland everyone can walk into the PMs office at any hour and have a chat with him. This gave them the impression that everyone is important enough to be listened to at any table. 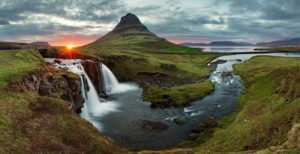 Having lived in a place where everyone has the PMs ear to itself, one can understand how the Icelanders believed they have a natural gift for investment banking and the world is lucky to have just discovered it. In their rush to validate their own self-worth in the eyes of the world, they bought assets in the riskiest companies and real estate in markets that weren’t growing. Having this kind of exposure brought the country to a shocking moment when they had to declare their bankruptcy. 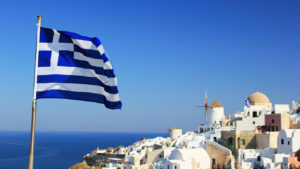 Greece came tumbling down from the crisis in a much more particular way. The crisis was more cultural than economic, as the Greeks never dreamt of being international bankers or hedge fund managers. They did however loved to receive freebies. The crisis started when a newspaper investigation showed that some monks (that were later tried and imprisoned) were becoming real estate tycoons. In a series of shady exchanges, they gave a lake in exchange for proprieties within Athens (shopping malls and such). They did this supposedly by breaking the bounds of confession and using the secrets shared by all the politicians and celebrities that go there every year. The Greek had 13-14 salaries per year, but this wasn’t reflected in the official bookkeeping of the state. Along with many others things kept off the books, ignoring the pension taxes, public expenses to make their deficit look good – with the desire to join the exclusive club of countries that use the Euro. Add to this the creative culture surrounding the many ways on how not to pay taxes. The Greek state was paying, but was never collecting. This is an institutional and cultural crisis, since the Greeks are adamant that they have no fault in the crisis, negating any responsibility. There is more of what Lewis discovered in his trips to these countries, talking to officials and locals alike. The book talks about each country in a separate chapter, but there are commonalities between the stories. They all lead up to the trust in the global system and the lack of regulations. This quote from the book has a humorous explanation that maybe explains why financial crises are perhaps inevitable, in different shapes or sizes. In a way, competing in a global economy makes countries rich, but it also means that we should spend some time in understanding who we are trading with – as it doesn’t take much to put everything to a stop. Why honesty REALLY IS the best policy! 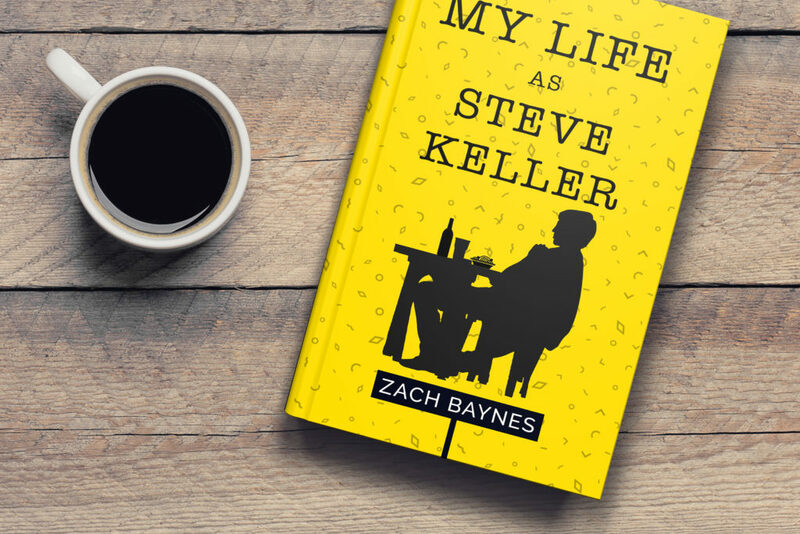 "My Life as Steve Keller" out now! I am an enthusiastic reader interested in topic ranging from globalization, personal development, technology and environment. I write about the books that I read, the ones that I plan to write and about things I consider important. I have a big backlog of what I plan to read, hopefully I will get to it at a proper pace. I also plan on publishing in the near future, with themes that touch on the books that inspire me. You can also subscribe to the newsletter, I usually send one every month.